PDF or Portable Document Format files are the most commonly used document files today. They are compatible across multiple platforms and operating systems. It's very easy to create PDF files but you can't edit them directly as like other word documents. PDF files are readable only and no existing data can be deleted from the document. You can only add additional data such as notes, comments, signatures etc,. When we talk about Android, there are a number of free PDF tools available which can help you to view and edit PDF document effectively. 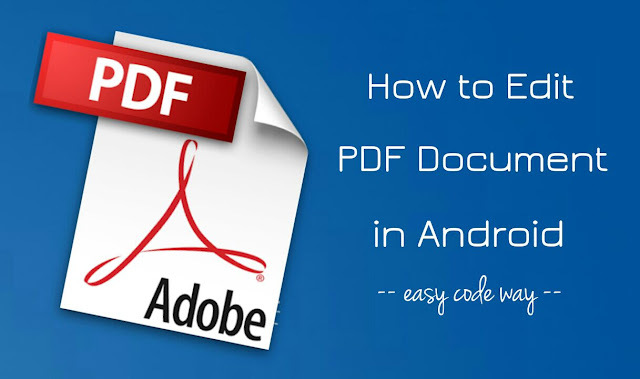 In this tutorial I will guide you how to edit these PDF files in your Android phone using offline and online PDF editor tools. Let's first discuss about Adobe Acrobat Reader. 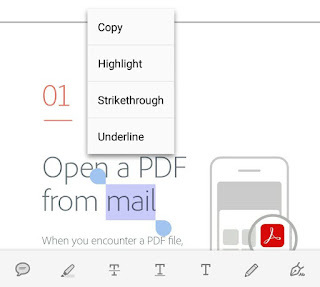 Adobe Acrobat Reader is one of the best free apps for reliably viewing and editing PDF files in Android phone. You may already know that PDF was developed by Adobe Systems and this application is also their product. With Adobe Acrobat Reader, you can edit PDF files by adding comments using sticky notes and drawing tools, highlight and markup text with annotation tools, type text anywhere and also sign your e-signature. 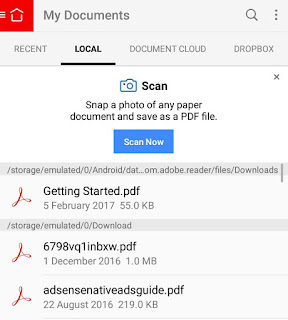 First of all, install this Adobe Acrobat Reader app from Google Play Store and open it. Now move to the Local tab where you will find a list of all PDFs saved in your phone. Open any document you want to edit. Now tap the edit button [comment+pencil icon] from the bottom menu as shown in the below picture. From the options available at the bottom of the screen, you can add notes, annotations and signatures anywhere in the document. For example, if you want to highlight any text, just select it, choose your favorite color and tap the tick button. Once you have finished editing, save the document to your phone or cloud storage. 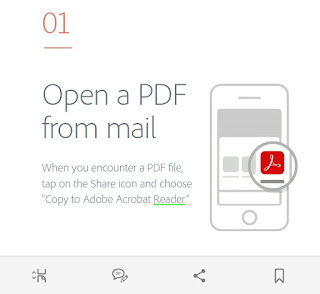 You can also create new PDFs in Adobe Acrobat Reader or scan your paper documents to save them as a PDF file. If you don't want to install any third-party application in your Android phone, then online editors are the best alternative to edit your PDF file quickly. You will find so many websites on Google by searching keywords such as Online PDF Editor. All what you have to do is, just open any online PDF editor, upload your PDF file and start editing it. You may be asked to sign up first. Although these online editor are good and easy-to-use but sometimes your browser may crash or fail to load large size PDF files. Anyway, if you're facing any problem, feel free to share it in the comment box.